Sanliurfa , often simply known as Urfa in daily language , in ancient times Edessa, is a city with 1,845,667 inhabitants (2015 estimate) in south-eastern Turkey, and the capital of Sanliurfa Province. It is a city with a primarily Kurdish and Arab population. Urfa is situated on a plain about eighty kilometres east of the Euphrates River. Urfas climate features extremely hot, dry summers and cool, moist winters. 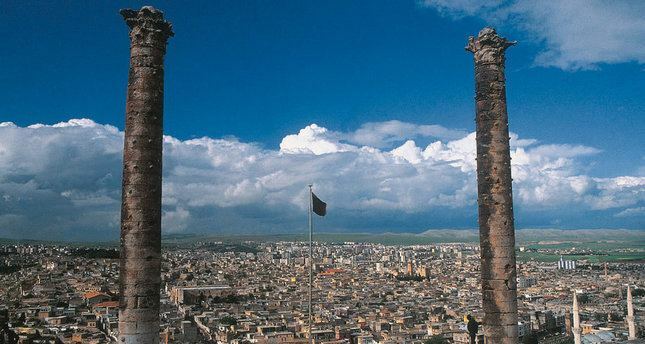 The history of Sanliurfa is recorded from the 4th century BC, but may date back at least to 9000 BC, when there is ample evidence for the surrounding sites at Duru, Harran and Nevali Cori. Within the further area of the city are three neolithic sites known: Gobekli Tepe, Gurcutepe and the city itself, where the life-sized limestone "Urfa statue" was found during an excavation in Balikligol. The city was one of several in the upper Euphrates-Tigris basin, the fertile crescent where agriculture began. Urfa was conquered repeatedly throughout history, and has been dominated by many civilizations, including the Ebla, Akkadians, Sumerians, Babylonians, Hittites, Armenians, Hurri-Mitannis (Armeno-Aryans), Assyrians, Chaldeans, Medes, Persians, Macedonians (under Alexander the Great), Seleucids, Arameans, Osrhoenes, Romans, Sassanids, Byzantines, and Crusaders. 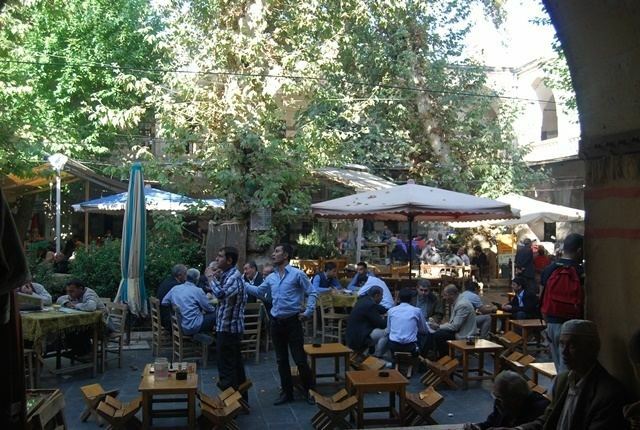 As the city of Urfa is deeply rooted in history, so its unique cuisine is an amalgamation of the cuisines of the many civilizations that have ruled in Urfa . Dishes carry names in Kurdish, Arabic, Armenian, Syriac, and Turkish, and are often prepared in a spicy manner. It is widely believed that Urfa is the birthplace of many dishes, including Raw Kibbe (Cig Kofte), that according to the legend, was crafted by the Prophet Abraham from ingredients he had at hand. 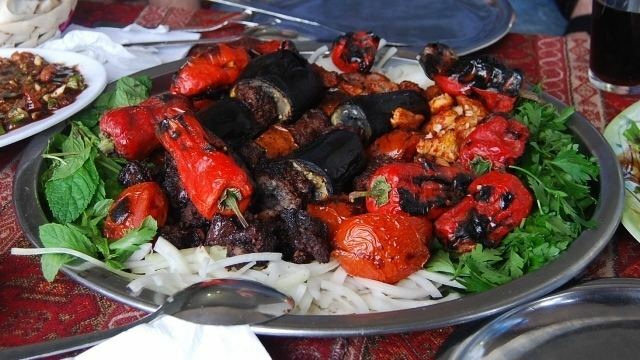 Many vegetables are used in the Urfa cuisine, such as the "Ecir," the "Kenger," and the "Isot", the legendary local red capsicum that is a smaller and darker cultivar of the Aleppo pepper that takes a purplish black hue when dried and cured. It is used to flavor many dishes, even a variety of ice cream. The cuisine also makes an extensive use of the eggplant. Unlike most of the Turkish cities that use different versions of regular butter in their regional cuisine, Urfa is, together with Antep, Mardin and Siirt a big user of clarified butter, made exclusively from sheeps milk, called locally "Urfayagi" ("Urfabutter"). Other than that, Urfa is a heavy consumer of quality Olive oil, that mostly arrives into the city from nearby Syria.